Glendale Water & Power (GWP) presented their proposed budget for the Public Benefit Charge (PBC) in a special city council budget meeting on May 8th. The PBC is a state mandated tax on our electric bills that goes into a separate account that is to be spent on things that will be benefit the public in general around energy usage. Items in this budget include things like solar panel subsidies, efficient appliance rebates, and bill discounts for low income households among other things. Here’s the 2017-2018 budget to give you an idea of the programs. Budgeted for 2019 is $1 million for Community Solar. Community Solar is a term for putting solar on a public building or over a parking lot and then selling the generated solar to community households who cannot put solar on their own building (ie: renters, people who can’t afford solar, people who live in buildings in shade). This is a great idea. Also budgeted for 2019 is $2.3 million for a $15/mo discount on low-income households’ bills. Roughly 15% of Glendale households are on this program (12,750 households) which is better than the statewide average of 33%. Glendale can do better than this. Instead of just giving discounts on bills, GWP could build Community Solar for low income customers. Not only would this give low-income households a discount on their bill but for the same money it would build a public asset for Glendale. Also, dollar for dollar putting the money into Community Solar gives a 17% bigger discount to these households. Here’s how it works. In the first year, the $1 million for Community Solar builds a .54 Megawatt (MW) solar panel installation. The energy generated from these panels gives 721 households a $15/mo discount on their bills. Then in year two, the money set aside for those 721 households in the low-income discount budget is transferred to the Community Solar budget and that $1.1 million builds .61 MW of solar and helps another 816 households. 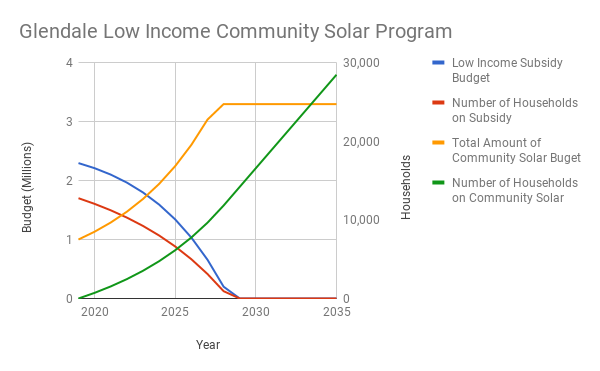 This continues, year after year, until by year 10 all of the low income households are on Community Solar and the budget for the low-income subsidy is eliminated. After year 10, the Community Solar budget maxes out at $3.3 million and continues adding 1.78 MW of solar per year which GWP can offer to everyone in the community for purchasing solar at a discounted rate. So in ten years, all low income customers are getting a discount and have been all along and GWP is producing 17,034 MWh of local renewable energy. Additionally, I’ve factored into the calculation a 2% annual increase in the cost of electricity and an increase in the subsidy. So by 2029, the subsidy has increased up to $18 per month per household. The Community Solar program means a reduced load on the system. This means a smaller power plant is required. If the solar is put onto fire stations and schools and combined with energy storage then the system could be providing emergency backup services for critical infrastructure. This plan requires no additional money from the city. It’s already in the proposed budget. 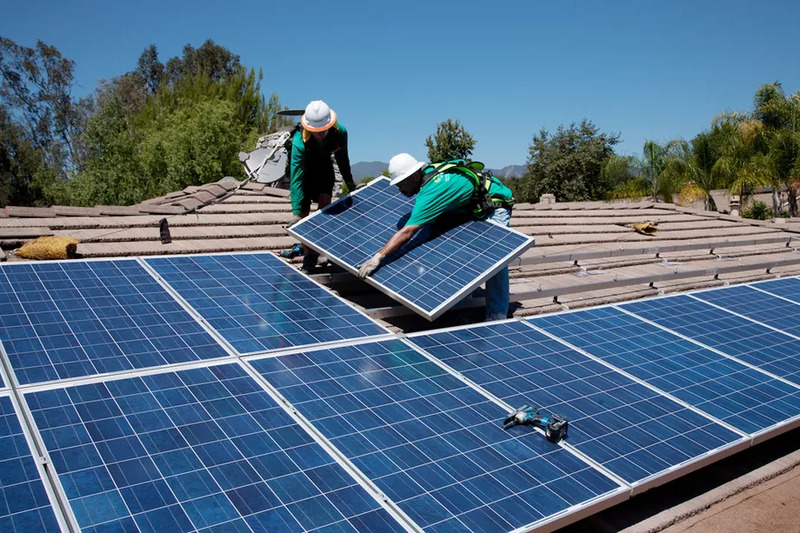 The City Council only needs to require that the Community Solar goes first to eligible low-income households and that the budget for the low income households subsidy transfers to the Community Solar budget as customers move to Community Solar. City Council is voting on the Public Benefit Charge budget soon. Please contact them and ask them to support the Low-Income Community Solar program. Here’s a spreadsheet of the numbers that allows you to play around with the numbers if you want to dig a little deeper. There are three major tipping points coming for the US electric market and this is how they will affect Glendale if we put in a new $500 million dirty power plant that is financed over 30 years. The proposed Grayson plant would go online in 2021 just before electric vehicles become affordable for all and there will be a wide adoption of them. This will increase off-peak power demand as users charge their cars overnight. This will also lead to a surge in solar installations as solar will be the go-to method to lower one’s electric bill. Plus, all new homes in California are going to be built with solar starting in 2020 there is going to be a huge influx of solar into Glendale. So far, so good. Grayson is sized way over capacity, demand is down but things are ok. In 2030, all utilities in California will have to produce 50% of their power from renewable energy. None of the power produced at Grayson will qualify as renewable. With GWP’s contracts with dirty power plants in Burbank and other places, Grayson at best will only be able to supply 35-45% of the demand. In 2031, when generating and storing your own power is the same price as buying from GWP every household is going to start installing solar and battery to avoid time-of-use fees and reduce their electric bill. They will still connect to the grid for the occasional top-up but they will supply 80 to 90% of their own power. This is going to affect peak demand enormously. Since Grayson will only be able to supply 35-45% of the electricity at most, the Grayson plant will be sitting idle for much of the year. Demand will be down and so revenues will be down. How is GWP going to pay for this? They’ll raise rates, driving more people to switch to self-generation, which will lead to less revenue, which will lead to raised rates… It looks like the utility death spiral for GWP’s electric division. In 2040, as solar and batteries continue to become cheaper and more efficient, it will actually be cheaper to self-generate 100% of your own power than to buy from GWP. Customers will start to go off-grid en mass to avoid the monthly service fee. Now GWP is stuck with a $500 million dollar dirty fuel plant that is barely going to be used and they will still have another 11 years of payments of $29 million per year to make on it. I was born last century and 2031 has always sounded so futuristic – like we’ll be in flying cars and living on Mars, right? Well, it’s only 13 years away. If you think about how fast time flew by since 2005 (13 years ago) you’ll appreciate that this is really right around the corner. Repowering Grayson is the wrong choice for Glendale. 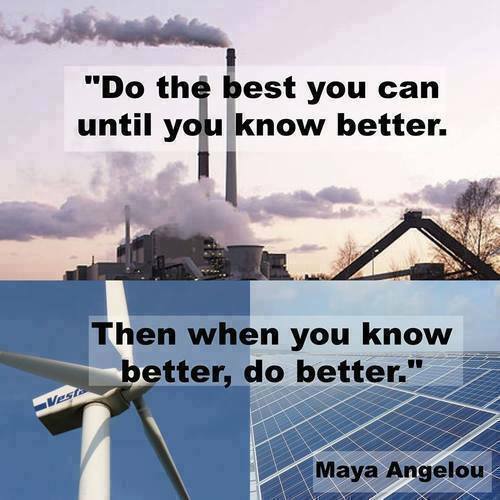 We need a solution that we can keep using 100% after 2030 and that gets us through the next 20 years, not a dirty power plant that we can’t even use at capacity after 2030 and that will be a cause for bankruptcy in 2040. The solar savings start today. 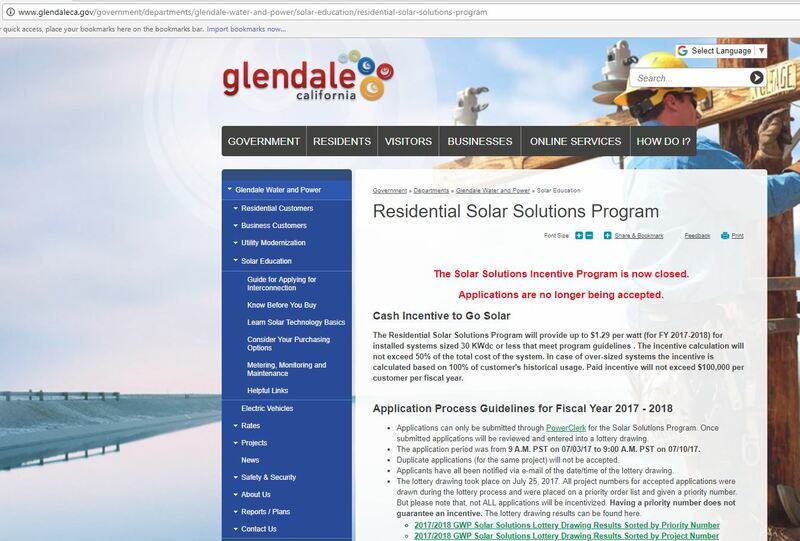 Glendale Water & Power (GWP) likes to say that they don’t get any Renewable Portfolio Standard (RPS) credit for rooftop solar. They use this to downplay rooftop solar but it’s really only half the story. It turns out that rooftop solar does help the renewable standard but it lowers the utility’s profit margins. The RPS is California law that requires all utilities in the state to sell a certain percentage of renewable energy to their customers. The law is currently 25% today, 33% by 2020, and 50% by 2030. 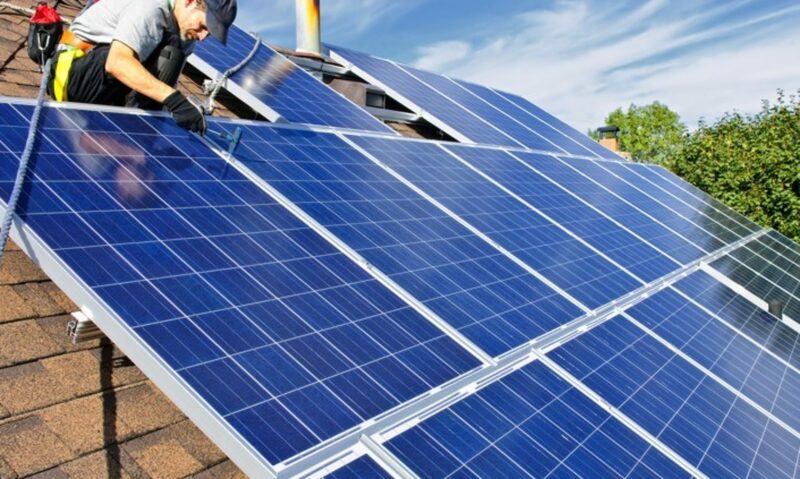 Rooftop solar that is not owned by the utility supplies electricity to the home or business without going through the utility and therefore doesn’t count towards the utility’s RPS. That makes sense on the surface, but let’s do the math. Say a utility provides 1,000,000 megawatt hours (MWh) of power to it’s ratepayers per year. 470,000 MWh of that energy comes from remote renewable sources so the utility is at 47% of renewables for the RPS. The ratepayers install a bunch of rooftop solar on their own and those panels produce 200,000 MWh in the first year. Now the utility has only supplied 800,000 MWh of energy. Let’s assume the utility continues to source the same 470,000 MWh of renewable energy to supply that 800,000 MWh of energy. Now they are at 59% of the RPS. So, under normal conditions rooftop solar actually raises a utility’s RPS percentage even though they don’t get direct credit from the energy. There is another scenario, the utility leases rooftop solar panels to the customers and sells them the panels’ electricity at a steep discount. This is what the solar leasing companies do for the no money down solar panel plans. Los Angeles Department of Water & Power (LADWP) is doing a similar plan for low income customers. In this second scenario, the utility is supplying the full 1,000,000 MWh of electricity. It gets RPS credit for the 200,000 MWh of leased rooftop solar plus the 470,000 MWh renewable energy they were already supplying. Now they are at 67% renewables. Wow, either case is great for the utility, right? Then why is GWP downplaying rooftop solar by saying they won’t get credit for it? But there is more at play. Both scenario one and two assumed that the utility would continue to provide the 470,000 MWh of renewable energy. But what if the utility had just built a $500 million dollar natural gas plant? Under either scenario it would be cheaper to produce power at that gas plant than import the renewable energy. This will be especially important when their revenues start declining from either scenario. Keep in mind that legally, they only have to be at 33% renewables in 2020. So, under scenario one, to balance their budget they would reduce the amount of purchased renewables and supplement it with power from their plant. To achieve the 33%, they would produce 616,000 MWh from natural gas and buy only 264,000 of remote renewables rather than the 470,000 MWh they were purchasing. Under scenario two, they would produce 770,000 MWh from natural gas, 200,000 MWh from leased rooftop solar and buy only 130,000 MWh of remote renewables rather than the 470,000 MWh they were purchasing. In either case, the decision to build an over-sized gas plant at a time when the law is pushing utilities to increase their renewables percentage seems more and more ill-advised. The more rooftop solar customers install the worse it’ll look for the utility. In a third scenario where the utility discourages rooftop solar by playing down it’s RPS contribution, under-funding it’s rebate program and making installations more difficult to minimize the growth of rooftop solar. They would start out delivering 1,000,000 MWh with 470,000 MWh purchased renewables and 530,000 MWh of generated power. With the debt burden of the new plant, they will also choose cheaper local generation and produce 770,000 MWh from natural gas and purchase 330,000 MWh of renewables. Reducing solar installations maximizes the amount of revenue generated by the utility. Also, when the inevitable reduction of imported renewables starts happening, the minimum rooftop solar option reduces purchased renewables by only 29% whereas scenario 1 reduces purchases by 44% and scenario 2 reduces purchases by 72%. Clearly, reducing imported renewables by only 29% is going to look the best for the utility. 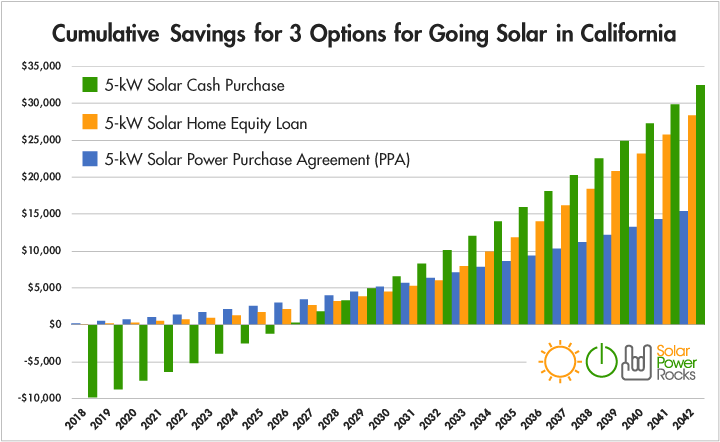 Rooftop solar is a win/win for GWP’s renewable portfolio and the ratepayer’s bottom line. We own the utility and we should hold them accountable to their mission. They are overseen by the Glendale City Council. 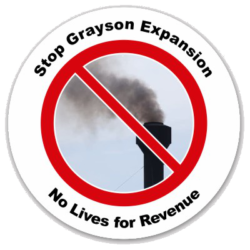 Join us next Tuesday, April 10 at 5:30pm at Glendale City Hall for a rally to stop the Grayson Expansion and ask for clean energy alternatives. Go here for more information.